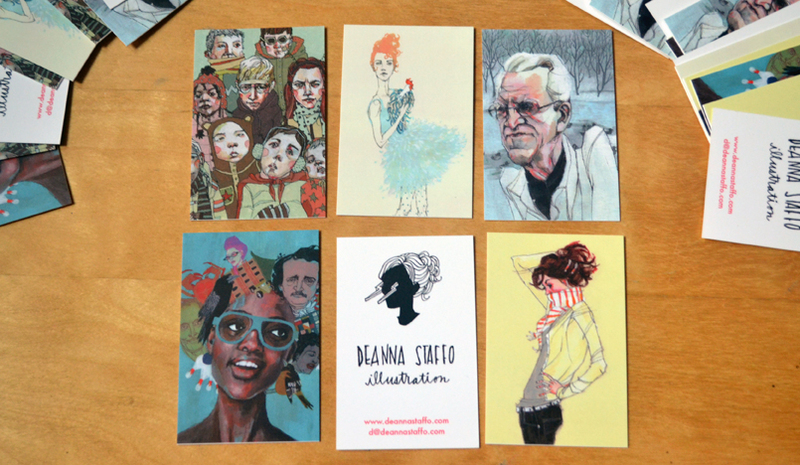 I made some new business cards using my new logo through moo.com and am really happy with how they turned out. They arrived just in time, since I'm attending ICON 7 - the biannual Illustration Conference this weekend. I haven't been to the Illustration conference since I was a student volunteer nearly ten years ago and am really excited to meet so many illustrators I admire and hope to learn a lot about the current state of the business! Today's going to be a hectic day re-working my website and packing and trying to get to sleep on time since I leave super early the next day. Wish me luck getting it all done on time! they look great, deanna! definitely the kind of business cards you'd want to hold on to.